The severity of the opioid epidemic cannot be understated, but how is it linked to liver health? Due to the horrific toll it is taking on lives, communities and our healthcare system, the opioid crisis is a great and immediate healthcare emergency. Yet, among the many reports about the opioid crisis, often referred to as an “epidemic,” little has been said about the relationship between the abuse of opioid medications and liver disease, nor about the value of opioids in pain management and treatment, especially in liver patients. Understanding and navigating effectively these off-setting circumstances will be critically important for policymakers and patients alike. The rising rates of opioid misuse coincide with a rise in viral hepatitis, particularly in young people, and in the increase in severity of liver disease across all age groups. Rates of hepatitis C (HCV), which can be spread between opioid users injecting drugs intravenously, are skyrocketing. HCV is 5 times as infectious as HIV, for example. Chronic HCV can lead to cirrhosis, liver cancer, transplant, and eventually death. It also puts patients at higher risk for developing other liver diseases, like fatty liver disease and nonalcoholic steatohepatitis. The link between opioid use and contracting HCV has been noticed by policy makers. Bills (H.R. 5353 and S. 2579) are being introduced to fight opioid-related rises in HCV and other infectious diseases by increasing CDC funding for program implementation and expansion of surveillance and educational policies. Although the negative impacts of the opioid crisis are startling, opioids are not simply the dangerous and terrifying medication that many believe them to be. Opioids are of extreme value in pain management, especially in patients who cannot safely take other pain medications. Many liver and gastrointestinal patients cannot take what most people refer to as “safe” medications like acetaminophen which can cause liver damage in high doses or at lower doses in already damaged livers or ibuprofen which may cause GI bleeds. In fact, for these patients, opioids may be the safer option. Opioids are extremely effective in managing pain, such as pain experienced after surgery, or pain due to severe injury and chronic pain. In patients prescribed with opioids to manage chronic pain, only about 20-30% will misuse their prescription. The other 70-80% of patients take their prescription as prescribed and rely on opioids for daily function. 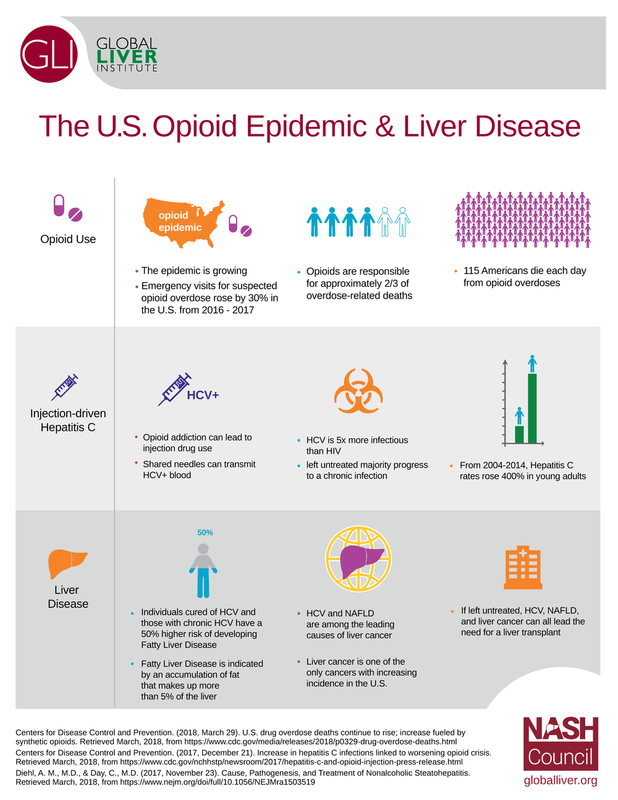 A critical concern is that policy responds to the opioid crisis, we need to address the unique ways that opioid abuse affects liver patients without compromising the value of opioids in treatment. Liver Cancer Has Risen to the Sixth Deadliest Cancer in the U.S.